The biggest story of the week had to be Chris Froome’s abandon on the ‘Paris Roubaix’ stage on Wednesday. Froome had crashed heavily the previous day as the Tour returned to home shores. Running at the front on what should have been a comparatively easy day for the GC contenders, Froome touched a wheel and was down. The crash seemed fairly innocuous at the time; hardly anyone else was effected and Froome sprang up pretty quickly to get back on his bike. He spent a lot of time with the on course doctor however and there was speculation that he might have fractured his wrist. Although this was dispelled by the team following x-rays it was subsequently revealed on Friday long after his exit that he had in fact sustained two fractures (revealed by an MRI scan). The chances are that Froome would have wanted to start the next day whether he was in acute pain or not. As much as he (and to be fair Sky) has lost support in some sections as a result of Bradley Wiggins non selection for this years race, Froome was undoubtably extremely motivated to defend his title. He had already shown his appetite by his performances during the opening two stages and the look on his face when he shook his head in response to the mechanic who asked if he could continue after his second crash on stage 5 spoke volumes. Sky pretty much admitted that they had their concerns about Froome when they committed some of the squad to protect Richie Porte, their ‘Plan B’, during the stage and the teams efforts looked divided from the moment that the erstwhile leader had his first crash of the day. While a number of riders, both in and out of this years race, team managers and other interested observers opined that cobbles had no place on the Tour, the facts are that only one rider abandoned on stage 5; Froome. Sections of the Paris Roubaix course have been included in previous Tours but this stage had the misfortune to be run in pretty awful weather, unlike the last few years of the actual race that has enjoyed dry and sunny conditions in April. With the unexpectedly huge crowds that lined the route in the UK causing a few spills combined with the slippery nature of the weather effected stages since the race has returned to France this years Tour has had its fair share of abandons and retains quite a few walking (or should that be riding?) wounded. While Chris Froome faltered Vincenzo Nibali has prospered. The Astana rider enjoyed almost the polar opposite of fortunes on stage 5 finishing 3rd on the stage and pulling out over a minutes lead on his nearest GC rival. The easy assumption when the route of this years Tour was announced was that the GC contenders would view stage 5 as one to be endured and hopefully completed without too many mishaps. There wasn’t a slew of articles trumpeting Nibali (or anyone else) as the GC rider most likely to do something on the stage. 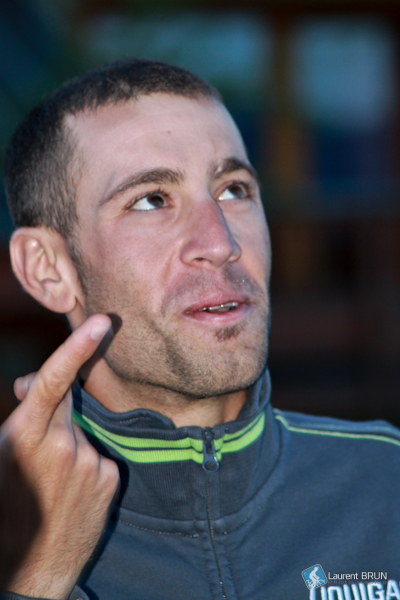 The cliche that Nibali is a ‘great descender’ is almost a bit of a joke these days, but like a number of riders in the peloton, he is an ex mountain biker and on that basis is less fazed by sketchy conditions. After springing a surprise to take stage 2 in Sheffield (what were the odds for that one?) it almost feels as if Nibali has taken advantage of the fact that no one really tapped him as a serious contender for this years race. His first win this year had been just a week before the Tour at the Italian nationals, but in seven stages of the Tour he has taken the Maillot Jaune, a stage win and a podium. The question of whether of not Nibali can hold onto the lead is not quite as clear writing this ahead of the first stage (8) that involves some serious climbing. Wrapping up the opening stages we suggested that Nibali could hold on to the jersey if he didn’t suffer any mishaps on stage 5 (done!). However, we further speculated whether Nibali’s stage 2 win was just a bit of opportunism, scraps from the table of the forthcoming Froome / Contador match up. The next three days in the Vosges should provide some if not all of the answers as to if this is a serious tilt at the GC by Nibali. He has looked good so far, but to win the race from stage 2, to hold the lead for that length of time, is something that hasn’t been done since 1961 with Jacques Anquetil. Alberto Contador appears to be a man in confusion at the moment. He started the Tour with the strategy he had employed during the Dauphine; marking Froome. Now that Froome is absent, Contador seems bereft of ideas, thrown by the prospect of combating a rider with a completely different riding style. Contador had a torrid time of the cobbles too, losing nearly 3 minutes to Nibali. Although Contador has lost a key domestique (to concussion on stage 6) riders like Nico Roche and Mick Rogers are in great form and it’s going to be really interesting to see how the two teams Astana and Tinkoff Saxo and their respective team leaders trade punches over the next few days. When you examine the facts, Contador has enjoyed a fantastic year so far and Tinkoff look like a very well drilled outfit. Nibali and Astana in comparison have had a tough time and the team have been rife with bitching between the Italian and Kazakh components. The sense is that Contador needs to get his head right as Nibali may just have rediscovered his will to win. Quote of the day was from the rider missing from this years race who speculated if Peter Sagan was “..receiving instructions over his team radio or just Metallica at full blast”. Sagan has been there or there abouts on every stage so far and it’s pretty hard to see anyone else claiming the points jersey from him. A third win in this competition in as many years is obviously some achievement, but the stage win tally is falling. Missing out on the victory by inches yesterday hurt much more than the placings gained while sprinting against Marcel Kittel. Sagan will continue to have a go, but he’s another rider who looks a little short on confidence at the moment despite the jersey he’s wearing. Marcel Kittel enters every sprint stage knowing that they are his to lose. Mark Cavendish’s accident and subsequent abandonment of this years Tour has denied the Giant Shimano rider of his most potent competitor. VCSE’s view is the in the bare knuckle environment of the last kilometre of a bunch sprint Kittel currently is just about impossible to beat and for all the work Cavendish has done this year to counter the Kittel threat, he has been undone himself by riders that a year or two ago would have been in his wheel tracks. Kittel can be beaten. Andre Greipel won his obligatory stage win the day before yesterday after Kittel and his teammates had been exhausted by the cross winds that effected stage 6. Similarly Kittel wasn’t always a feature in last years race for the same reasons. For him though, he has already achieved the first part of the important Tour double; yellow after stage one. It’s pretty difficult to imagine that he will fail in his quest for the second; a consecutive victory on the Champs Elysee.